There's nothing like going into day 2 of a World Group Fed Cup tie with a 2-0 lead (well, unless you're Italy back in February): There's just so much pressure on the opposing team, who cannot lose one rubber. That's the kind of pressure France is bound to feel tomorrow, since the French team went 0-2 to the Czech Republic today. Of course, it was France who came back from 0-2 down against Italy in February, but pulling off another trick like that would be extremely difficult. Not that the French team has lost any of its sizzle. In fact, it looked for all the world that Caroline Garcia was going to take the first rubber from Lucie Safarova. Garcia held five match points, but she was denied all of them. Safarova defeated her, 4-6, 7-6, 6-1. There is talk, of course, about whether Garcia will be up to playing on day 2; only she knows that. In the second rubber, Petra Kvitova, back from an extended break, defeated Kristina Mladenovic 6-3, 6-4; Mladenovic did make that rubber competitive. 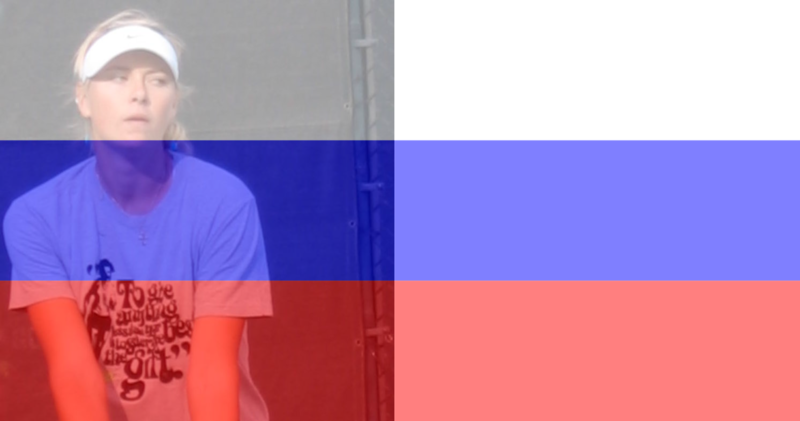 Meanwhile, a German team with no Angelique Kerber and no Andrea Petkovic lost both rubbers to team Russia. Svetlana Kuznetsova defeated Julia Goerges 6-4, 6-4, and Anastasia Pavlyuchenkova--in match that neither player appeared to want to win--defeated Sabine Lisicki 4-6, 7-6, 6-3. The rubber was a festival of unforced errors and difficult to watch. I'm not sure why Kerber didn't play, but Petkovic has cited physical and mental exhaustion as of late. She and Kerber are scheduled to play doubles, and I suspect we'll see Kerber, at least, in a singles rubber. I'm not ruling out Petko's singles appearance, but it makes sense to me that she might not play. In World Group playoffs, Italy and the USA are 1-1, The Netherlands and Australia are 1-1, Poland and Switzerland are 1-1, and Canada and Romania are 1-1. Sam Stosur withdrew from play for Australia because of her injury (not unexpected), and was replaced by Casey Dellacqua, who won her rubber. Martina Hingis played her first competitive singles match since 2007 and was beaten 6-4, 6-0 by Aga Radwanska. Timea Bacsinszky defeated Ula Radwanska, who will now play Hingis, who is highly favored to win. The other singles rubber, between Aga Radwanska and Bacsinszky, could be interesting, given Bacsinszky's current level of confidence and Rawanska's current level of slumpiness. If it goes to a deciding doubles rubber, Hingis will play for Switzerland, and I think that says it all. Francoise Abanda of Canada had a great win over Irina-Camelia Begu, which put Canada ahead 1-0. Then Genie Bouchard played Alexandra Dulgheru, and anyone who has followed the Romanian's career knows that closing a match is not her strong suit. Bouchard was, once again, hitting without thinking much (that works sometimes, but usually not), and making all kinds of errors when the tenacious and pesky Dulgheru just kept getting everything back. Because that's what Dulgheru does. Dulgheru had a match point on Bouchard's serve, but Bouchard saved it. Serving for the match, it was a pretty typical Dulgheru project: There were seven deuces, Dulgheru double-faulted on match point, and on and on until, on her fifth match point, Dulgheru won the rubber, 6-4, 6-4. Dulgheru then made a gesture beyond perfect: She fake hand-shaked the Romanian bench. To do this alone must have been a heavy motivation to win the rubber, never mind getting a point for your country.